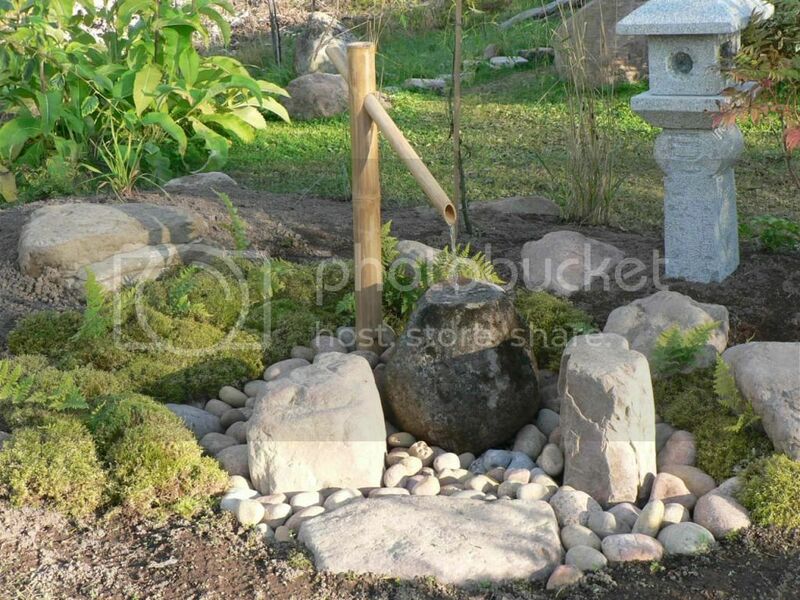 Hello - Here is my Japanese Garden - Qestion - Gate proportions? Found this site when I was searching information to build a Tsukubai. The result is shown in a picture below. I have worked about 8 years to create a Japanese Garden at site where there once was a Swedish forest with 20m high spruces and pines. 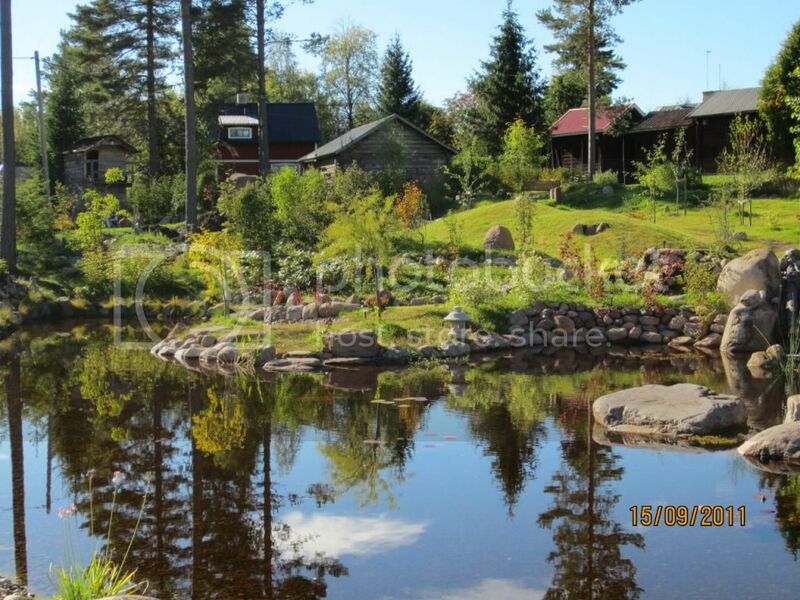 It is located in a harsh clime zone with 5 months of winter and temperatures down to -22 F.
Last summer most of the ground works, stone setting, the pond and tree planting were nearly finished. There are still many details I plan to include as a waterfall, a stream, more plants and all of the carpentries. Also I want to make some improvements of some stone settings that I am not pleased with. Now it is winter here and there is no gardening possible, only to keep the moosses and deer’s out so they do not eat my newly planted trees ? 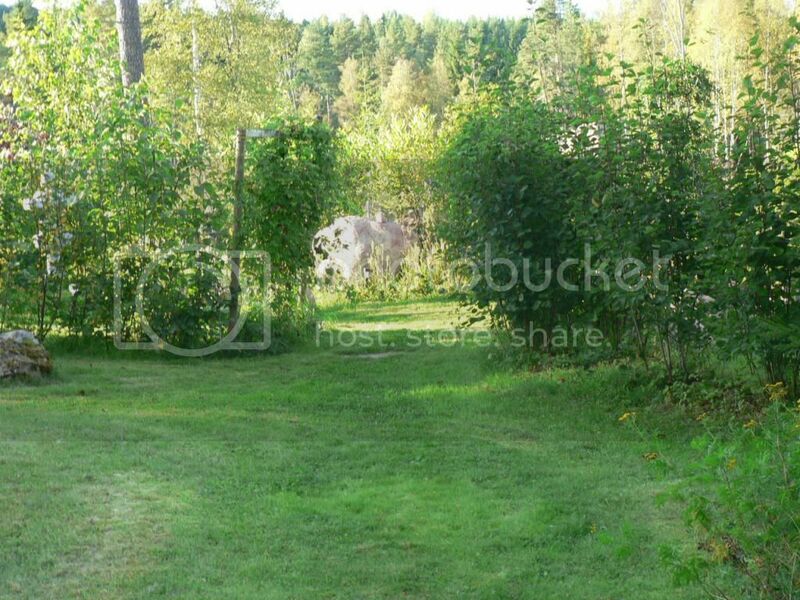 I am now planning for all of the carpentry’s such as a surrounding fence (moose proof), gates, a bridge, a tea house etc. For the moment I am designing a an entrance gate with a roof and would like to have some help for the proportions of roof size, post sizes etc. My wife does also want to have a pergola incorporated with the gate (behind the entrance) and I have some doubts if that is possible in a traditional Japanese garden style – but I have promised and I trying to design something that would fit in the garden style – looking for pictures of something similar from a Japanese garden, not found anything yet. The entrance how it looked last summer is shown below. Re: Hello - Here is my Japanese Garden - Qestion - Gate proportions? Welcome to the group. I have posted some pictures of my garden and gates under photography (TDG) in May of 2007. The Sukiya Living Journal of Japanese Gardening has also posted an article about dimensions and angles in one of their issues a year of so after I did my building. I sent a letter to the editor for help and no response, but much later an article appeared in print. Look at lots of pictures and scale from them as I have done, it will work.